Grove St. and Canal St.
John J. Rohen (Roughan, Rohan, Rowan) was born in June of 1850 in County Clare, Ireland. He settled in Chicago around 1862 and married Catherine Donovan on 8 August 1871 in Old St. John's Church in Chicago. Catherine was born in July of 1853 in Quebec, Canada. John died 4 April 1923 and Catherine on 18 February 1932. They are both buried in Calvary Cemetery in Evanston, Illinois. For further details, contact the Chicago Genealogical Society. 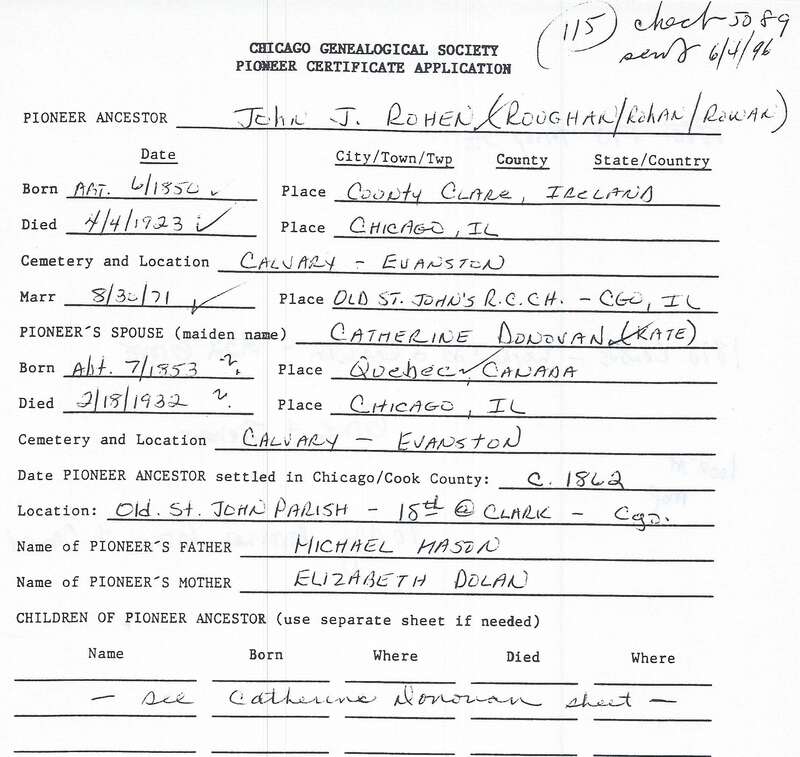 John J. Rohen is Pioneer Ancestor number 115. 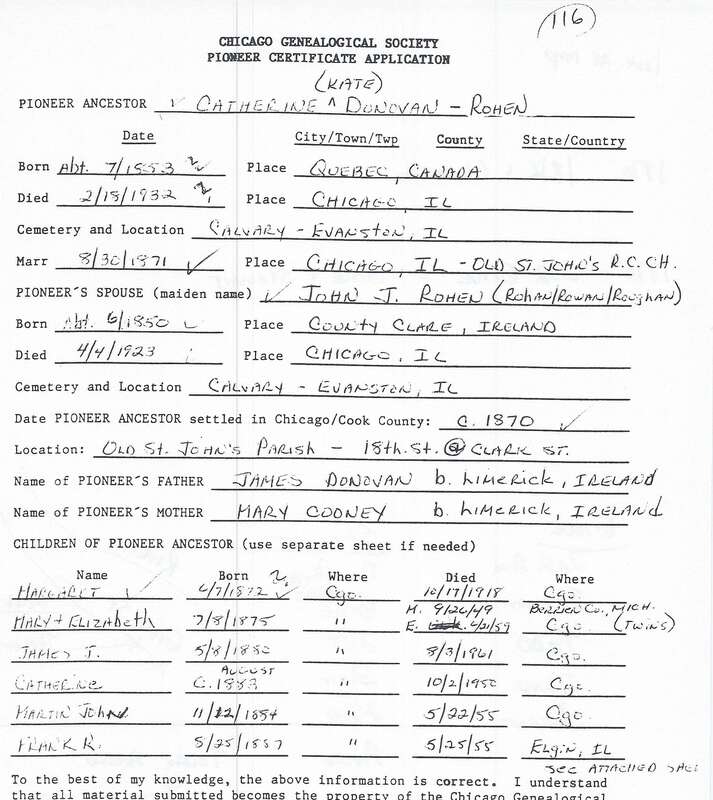 Catherine Donovan is Pioneer Ancestor number 116.